Have you been dreaming of living more self-sufficient? Maybe your dream is to leave the rat-race behind and learn how to be more responsible for your own the well-being? If so, I am here to tell you it is possible to achieve your dreams! 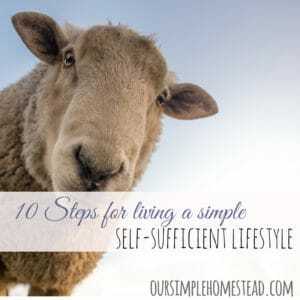 There’s no particular guide I can give you to become more self-sufficient, but if you change your mindset and start tackling some of the following steps you can be well on your way to a simpler, healthier self-sufficient living. 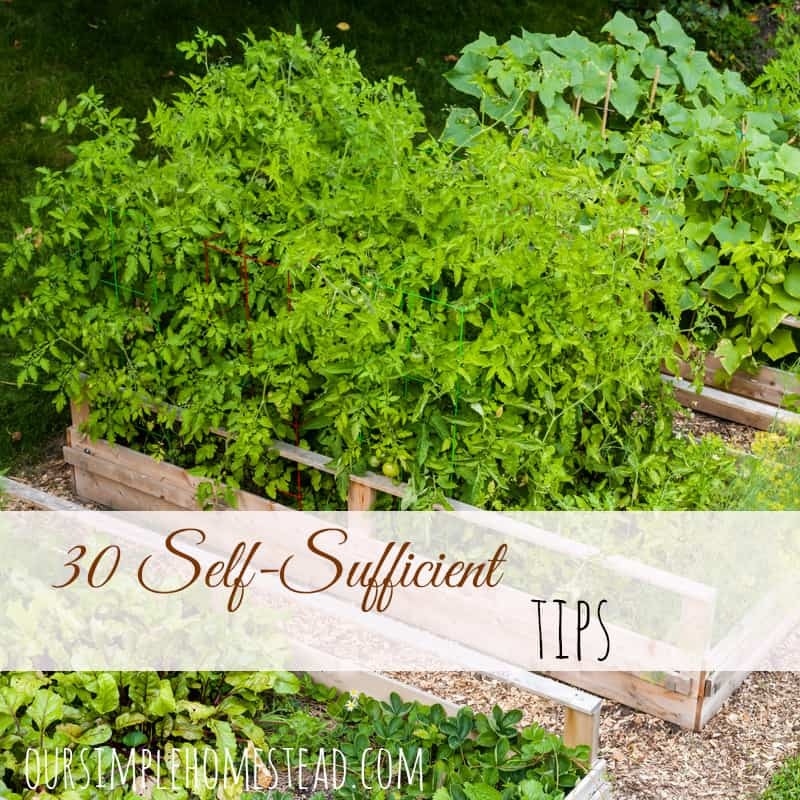 So what does self-sufficient mean? It’s all about learning how to provide for our own needs. It means taking on a spirit of independence and become passionate about the life you live. I know from past experiences deciding where to start on this journey can be overwhelming. 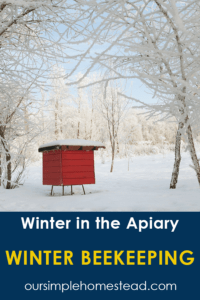 You may think that you need to live in the country to live a simpler life, but in all reality, you can live and work anywhere …it’s all a state-of-mind. One of the most difficult aspects of learning to be more sufficient is changing the way you think about how you spend your money, where your food comes from and how to reuse and recycle. Review the power usage of your home. Replace lightbulbs with energy-saving ones. 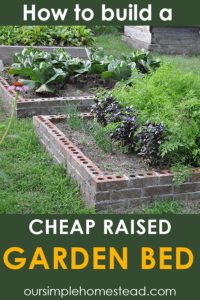 Plant raised beds or container gardens. 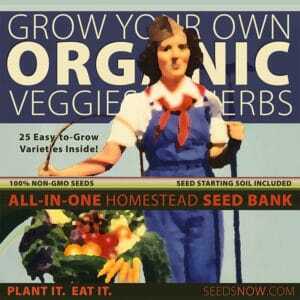 Learn to compost and add great nutrients to your gardens. Learn to cook wholesome old-fashion meals. Learn to make your own cleaning supplies. Learn to can in-season fruits and vegetables. Downsize – Take a good look at your home to determine if downsizing is an option. Less is more – There is something about purging all the stuff you collect over the years…it’s liberating! Learn the benefits of herbs for medicinal purposes. Understand the difference between a need and want. Cut out our cable. Netflix is an inexpensive alternative for a fraction of the cost. Eat Seasonally – Buying out of season fruits and vegetables is very costly. Plan your meals around what is fresh and in-season. Watch for sales and only buy items when they go on sale. Shop at stores that offer volume discounts and those that are typically cheaper. Plan your meals ahead and don’t rely on your microwave or prepacked foods. Go to bed when the sun goes down and gets up when the sun comes up. Stock your pantry with staples and home canned goods. Collect and use rainwater to water gardens. Become your own handyman Learn to repair things around your home as well as basic car maintenance and repair. Learn to Sew, Knit or – These are all excellent skills to have, if not necessary skills for a self-sufficient lifestyle. Set one day a week as a technology-free day. Take back control of your life and set your mind to apply some or all of these tips to your life. If you need some motivation, I encourage you to connect with like-minded people. Making friends with people who are looking for the same kind of changes will make your transition into this type of lifestyle easier. 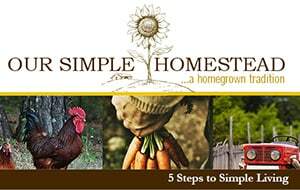 Take classes, join online forms, search Facebook groups on homesteading or living simple, and step outside your comfort zone and connect with people in your own community. Happy New Year! You made me laugh with your New Years resolutions — cute! 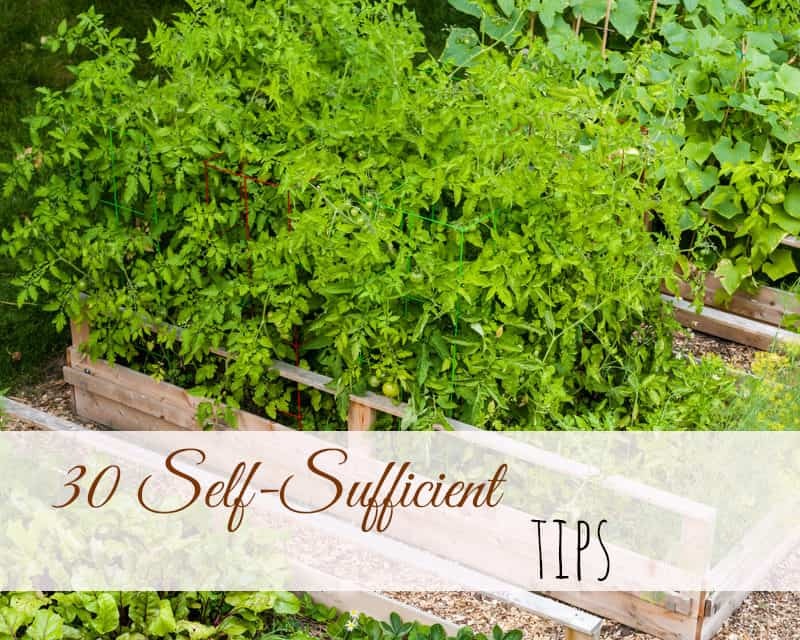 Your points are straight on target to becoming self-sufficient. I’m working on some of these now and have completed others. It’s definitely a journey, but it’s fun, healthy and very do-able. Bobbie I tried for years to make resolutions, but they always got the best of me. Now I just strive to be the best I can be each and everyday! All great tips and advice. My favorite? The last paragraph; connect with others that are like minded! Thanks, Tracy. I have learned so much from you! When we first started using our clothes line and drying rack I was amazed at the savings as well! So many great points. We love being the only house in our development with a clothesline! Everyone else is worried about the HOA. We know that it is illegal for them to forbid clotheslines, so we enjoy it as much as possible! Trying to be your best everyday is a wonderful daily goal. It works. Thanks for stopping by The Maple Hill Hop today! I keep hearing that HOA’s are not allowing clotheslines. I think it is CRAZY and am glad you are using them anyways! How are your moving plans coming? 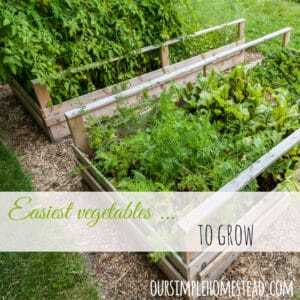 For the past two years my goal has been to grow and reserve a year’s supply of vegetables for my husband and I. This year will be no different. Each year we get a little bit closer! It’s harder than you’d think but so awesome! Margaret it is hard work, but the reward is so great when you stand in front of your pantry and see all your hard work looking back at you! I found this list on Titus 2sdays link up party and I love this list! Some great thoughts and ideas, my personal favorite technology free day. Thanks so much for sharing! That’s a great list, and I was excited to see getting wind-up clocks on there. I didn’t really think about it being sustainable, but my husband gave me one for my birthday this year. It’s just a wonderful sound, and it helps order my homeschool day. I have a couple windup clocks…one is sitting right here on my desk! I like number 23- I wouldn’t t mind going to bed at 6 p.m. and sleeping until 7 a.m.. I can’t wait for longer daylight hours! Me too! We went to bed last night at 8:45 and both of us were up and out of bed by 5:00 AM. I wish they would do away with daylight savings time! Jes I love reading things that I can sit back and say…got it, done that..and even some that remind me that I need to work on that! Thanks for reading and sharing this week! These are great, simple ideas that anyone can do! I really need to work on my power usage. Well, I should say my family’s power usage. I am constantly going around and turning things off. See it as number one on your list was really convicting 🙂 Thanks for sharing! Good tips that make life easier! Thanks for sharing at Home Sweet Home! We have been doing all but 2 (13, 28) for over 30 years…can’t get rid of cable but we have basic so we c an get local stations, and we have too much to mow but I do use the clippings to add to my garden compost. Love the list tho! 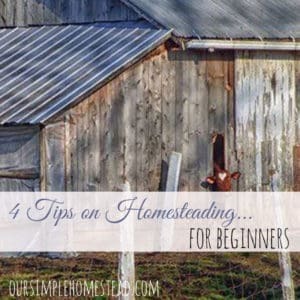 I would love it if you could please come over and join us on the Homesteader Hop. 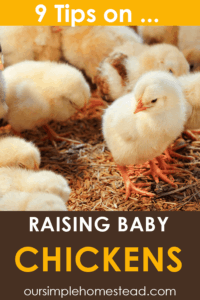 It is a new blog hop that runs every Wednesday! Please come by and share up too three of your articles. For me the best part of this list is the encouragement it gives me. 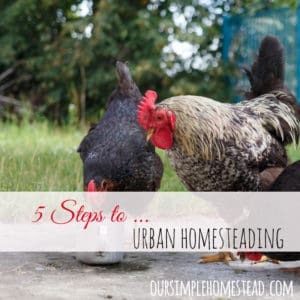 Starting a homestead and always feeling like there is so much more to do, it’s helpful to pause and take stock of everything we are doing. I used to do this when I was impatiently trapped in our suburban townhouse. This is a journey, not a destination, and there are many steps along the way. Sharing and pinning to spread the word! So glad it can help you on the right path!